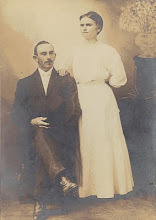 One thing I love about blogging is that it helps me to find loose ends in my family tree. In my efforts to find topics to blog about, I have found all kinds of loose ends that I am now tracking down. Last week I was looking at my family tree and noticed David Reed. David is my fourth great-grandfather on my mother's paternal side. I don't know much about David except that he was born in Virginia around 1793, that he married Mary Bryan and that in 1850 he was living in Carroll County, Missouri. David must have died somewhere between 1850 and 1860 as he is no longer listed on the census with his wife in 1860. By 1860, Mary Bryan Reed was living in Ray County, Missouri, so my first step in researching David was to check out the great USGenWeb site for Ray County. I have found boundless information on this site. Under their database of surnames link I found three listings for David Reed. He was mentioned in two of the historical histories of the county: twice in the History of Ray County, MO, 1881, and once in Portrait and Biographical Record of Clay, Ray, Carroll, Chariton, and Linn counties, Missouri. In the History of Ray County, 1881, there is a paragraph under the heading of widows of Soldiers of the War of 1812 that mentions Mary Bryan Reed. It states that David Reed was a Soldier during the War of 1812 and that he enlisted in Berkeley County, Virginia in 1814 and discharged in 1815. David Reed is the first ancestor I have found from the War of 1812. After finding this information I did a search for records of the War of 1812. Ancestry.com had a database of information, but because he has such a common name, I was not able to narrow any of the finds down to be my ancestor. I was led once again to the National Archives. 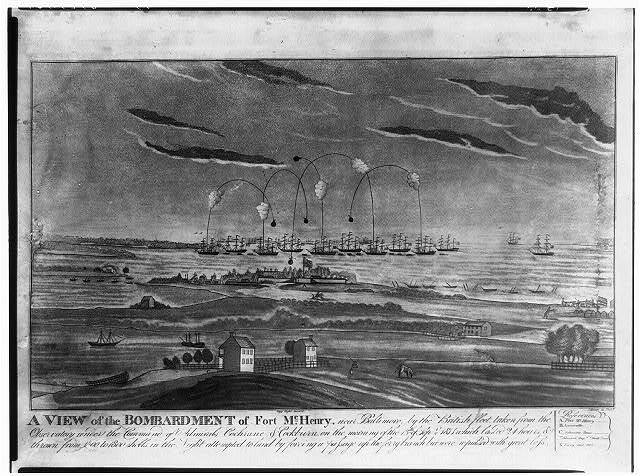 They have several resources about the war at their Military Resources: War of 1812 link. I headed to their eServices site, which has become my favorite resource. I placed an order for David Reed's Federal Military Pension Application - Pre-Civil War Complete File (NATF 85A). The fee for the search and documents is $50, which is a bit steep, but it will not be charged if they can not find any documents on David Reed. Repository: Library of Congress Prints and Photographs Division Washington, D.C.
﻿﻿﻿﻿﻿ The War of 1812 has been called the second war of American Independence. France and Great Britain were at war off and on again from 1793 on and in 1812 America was finding itself in the middle of the feud. James Madison signed the declaration of war against Great Britain on June 18, 1812. The war was fought both on land and sea. The British attacked Washington D.C. on August 24, 1814 and burned both the Capitol building, which then held the Library of Congress, and the White House, forcing President James Madison to flee the city. A peace treaty was signed December 24, 1814. Francis Scott Key penned the poem that later became the Star Spangled Banner while watching the bombing of Fort McHenry by British troops in September 1814. My kids studied the War of 1812 last week (I homeschool) and it made me do some searching in my tree too. I'm in the middle of writing a post on my discoveries (but mostly what I CAN'T find). This war is definitely not talked about as much as others. Heather, did you get useful information from requesting the pension file via NATF 85A? How long did it take them to reply? I'm about to submit for a Mexican War pension request. Your blog came up when I was searching for NATF 85A.